The ambulance may be the most under-appreciated point in the continuum of care. 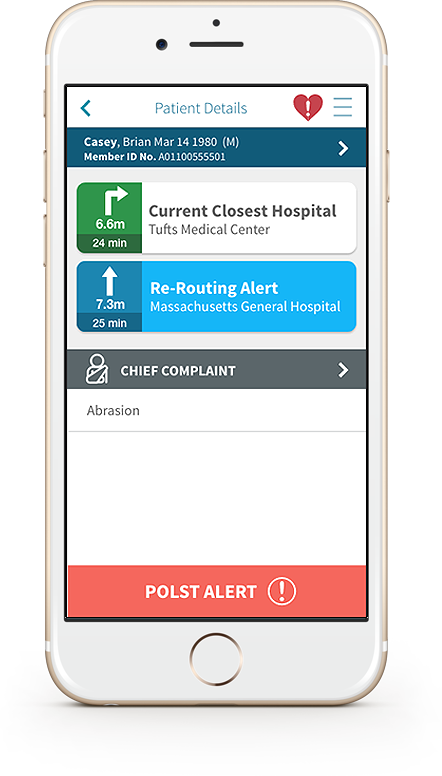 As a start, EMS RouteLogicSM provides EMTs with actionable, patient-optimized routing recommendations. EMTs treating patients suffering from a stroke, STEMI or other time critical condition are routed to the closest hospital with the right scope of services. Transport-stable patients are often best served if delivered to the right in-network facility. EMS RouteLogic confirms health plan member status and provides routing to the relevant payer’s recommended in-network facility. EMS RouteLogic recommendations are aligned with routing protocols established by the relevant regulatory agencies. All routing decisions remain the EMT’s to make. EMS RouteLogic improves patient care, reduces costs and provides EMS systems with a new source of sustainable revenues. Simply send us a message using the form below and we’ll get right back to you. Copyright© 2018 Health eWay, Inc.